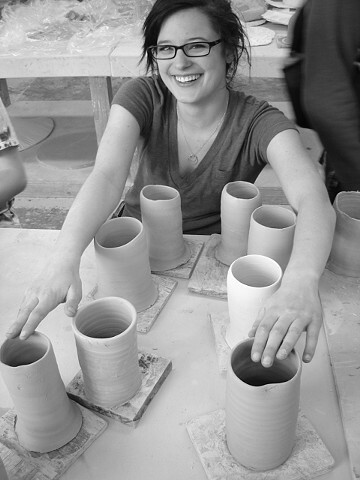 The first two weeks of every semester in Introduction to Ceramics the students work on the wheel, learning to center and pulling cylinders. Any student who wishes to continue on the wheel may do so, provided they also complete their other assigned projects (I arrange additional throwing instruction outside of class, and often bring in potters from the community for demonstrations). At the end of the semester they may substitute a comprehensive body of thrown work for the final assignment.